All Saints’ Church was built and dedicated in 1903; prior to this, services were held in Florence Laundry in Guildford Road. At that time Lightwater was a small hamlet and growth had just begun, with the development of nurseries and cottages to house the workers. 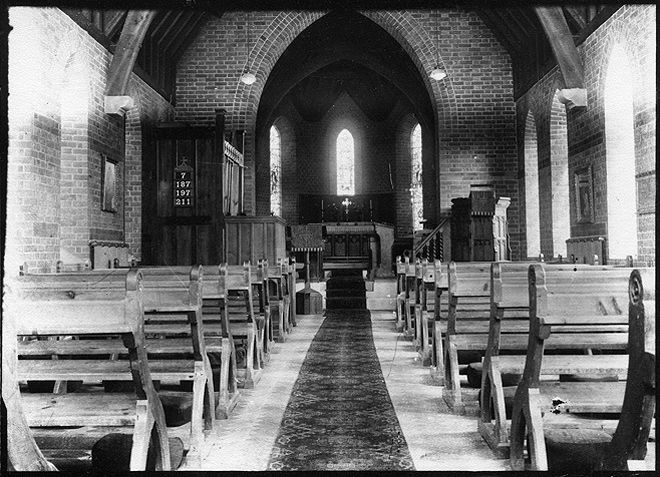 The church was a daughter church of Windlesham until 1931, when the Conventional District of All Saints’ was formed. A Priest-in-Charge was then appointed and the present lower vestry extension added to the building. Lightwater went through another period of growth in the 1950s to 1970s, largely thanks to the development of Heathrow Airport and, later, the building of the M3 motorway. During this time, in 1963, All Saints’ Lightwater became a parish, the Priest-in-Charge became a Vicar and the Parsonage in Ambleside Road became the Vicarage. 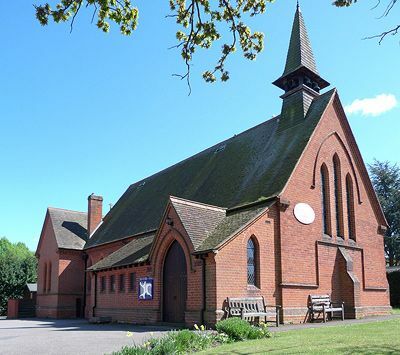 Soon after Lightwater became a parish, the new Vicarage was built and the Church Hall was rebuilt over several years, largely by a team of very dedicated local volunteers. By the 1990s Lightwater had grown to about its present size, and the village now has a population of about 7,000. There was a period of church reordering, completed in 2003, with the installation of new furniture including comfortable chairs, heating and lighting plus sound and vision equipment. The Hall was extended and upgraded with the addition of a Parish Office, a larger kitchen and an additional meeting room. Growth in the congregation was accommodated by starting an additional Sunday morning service with children’s groups and a midweek Songs of Praise service was also introduced at this time. To grow and develop All Saints’ in faith and encourage discipleship a variety of courses, including the Alpha Course, have been held and these continue today. From these homegroups have grown and about half the congregation now engage in midweek study, fellowship and prayer through small groups.